any and all of these emotions are understandable and normal. You are not to blame for a loved ones mental illness. Mental illnesses are caused by many different factors that work together, such as genetics, biology, environment, and life experiences. Loved ones can play a big part in helping a person recover, work towards their goals, and stay well. Care and emotional support go a long way in recovery and well-being. So can practical help, like managing doctors appointments and other daily tasks. You can also play a part in helping a loved one maintain well-being. You and other close supporters may be the first to notice changes in a loved ones mood, behaviour, self-care, or other area that shows their mental health may be worsening. This means you can help your loved one find the right help early. You can also help them see hope at a time when they feel it the least. Take time to learn more about mental illnesses. This will give you a better understanding of your loved ones experiences and help you see what they may be going through. 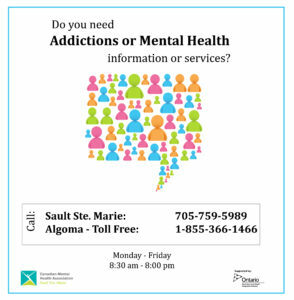 You can find reliable information online, through provincial or territorial health services, and through community organizations. Embarrassment, social stigma and fear can stop many family members from seeking help when a loved one is diagnosed with a mental illness. But that can isolate you at a time when you need the most support from others. Talk to trusted friends and family and let them know what youre experiencing. If you arent sure where to go, try connecting with a community organization. Support groups are a good place to share your experiences, learn from others, and connect with people who understand what youre going through. To find a local support group, contact a local community mental health organization like the Canadian Mental Health Association (CMHA). CMHA has branches all over Canada that offer a range of services that can help. If you are caring for a loved one, your responsibilities may use up your physical and emotional energy. Its important to take time for yourself. It can help you recharge and give you a more balanced perspective toward any challenges you experience. Schedule opportunities that allow you to relax, have fun and get away so you can come back to your loved one with a healthier outlook. You cant care for someone else if you havent cared for yourself first. Caring for a loved one whos unwell can be stressful. Long periods of stress can lead to mental health or substance use problems. Seek help if you find your own well-being slipping, and encourage family members to seek help if they need it. Mental illness can also have a big impact on family relationships. Its a good idea to seek counselling for the entire family. Realize that some behaviours may be beyond your loved ones control. They may be as distressing to them as they are to you. Its also important to tell your loved one (and their care team) what behaviours you arent willing to tolerate. You have rights, tooyou never have to tolerate dangerous or abusive behaviour. If your loved one experiences serious episodes that cause problems, its important to plan ahead for these problems. These planswritten during times of wellnessusually map out what will happen and who will be involved if a loved one starts to feel unwell. You may be included in a plan with your loved ones care team, but you can make a plan just between you and your loved one, too. If you believe that a loved one is at risk of harming themselves or others and they wont seek help, you may get a mental health assessment through your provinces or territorys mental health laws. In general, these laws let a doctor, judge, police officer, or justice of the peace order an evaluation if a person meets certain criteria. While this can be a helpful tool in a crisis situation, it can also be difficult and traumatic for everyone involved. Ideally, a loved one should have a plan in place that seeks action before these emergency measures are necessary. Contact your provincial or territorial ministry or department of health to learn more. Under Canadian law, an adults health care team cant talk about medical information like a diagnosis or treatment in most situations without permission of the adult. This may seem frustrating at times, but these laws were designed to protect the rights of people who experience a mental illness. An open relationship with a loved one can go a long way in keeping everyone informed and supporting a loved ones care choices. When someone you love is diagnosed with a mental illness, you may worry about their financial future. If they are unemployed or dont make enough to support themself, they may qualify for income supports. Some programs are provincial or territorial, and others are national. Talk with a loved ones care team, provincial or territorial services, or a local organization to see whats available. Your bank can also help with tools like a Registered Disability Savings Plan.